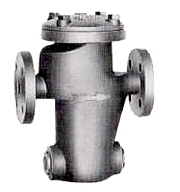 Located at the upstream of a flowmeter, a strainer prevents foreign object from entering the flowmeter. It is essential for the flowmeter with moving parts such as positive displacement flowmeter. Simple construction contributes to easy maintenance and check. *2: Depends on connection standard.